Get Free admission this Saturday and Join us for the Comcast TV Commercial shoot. Naval Air Station (NAS) Wildwood Aviation Museum is a non-profit museum located at the Cape May Airport inside historic Hangar #1. Commissioned in April 1943, NAS Wildwood served as an active dive-bomber squadron training facility during World War II. Today, Hangar #1 has been restored and transformed into an Aviation Museum that houses a number of aircraft, engines, special exhibits, and educational interactive displays. The museum invites visitors to explore aviation, New Jersey, military and WW II history through “hands-on,” fun and educational activities for the entire family! Bring the kids and travel back in time to this 92,000 square foot sampling of the 1940’s (and don’t forget your camera)! 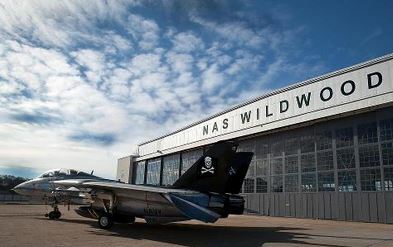 This entry was posted in Coupons and tagged Free Admission commercial shoot, NAS Museum, NAS Wildwood Events, Naval Air Station Wildwood on April 18, 2013 by Ryan Reclaim.